BBC Asian Network - Kan D Man and DJ Limelight, Breakbeat Son in the mix! Breakbeat Son in the mix! It is the first show of 2014, so Kan D Man and DJ Limelight play music by artists who they are tipping to do big things this year. Plus, a guest mix by Breakbeat Son. Kan D Man and DJ Limelight bring you the best new unsigned and emerging British-Asian rap talent and beat makers as well as the latest club bangers. DJ Limelight kicks off the show with a 20 minute mix of all your favourite Asian and non Asian tracks. Mim Shaikh brings you all the latest news from the scene in News At Ten and features the track popping off on the streets in Heat from the Street. It's the first show of the New Year so Kan D Man and DJ Limelight will be playing music by artists who they are tipping to do big things this year. Plus we have a guest mix by one of the artists they are tipping Breakbeat Son. 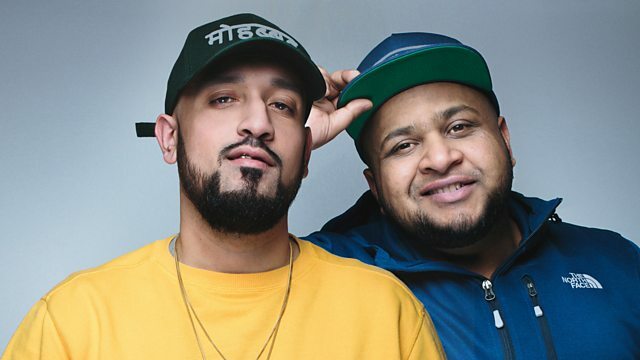 Contact the show on: Text 81869, email newmusic@bbc.co.uk or catch us on Facebook and Twitter @bbcasiannetwork.